Want to start taking steps to improve your sound? This is where it all starts! These two courses are the foundation for all of my discussion on harmony. If you are a typical musician from a classical background, you know your triads pretty well but don’t really know how to get to the next level. 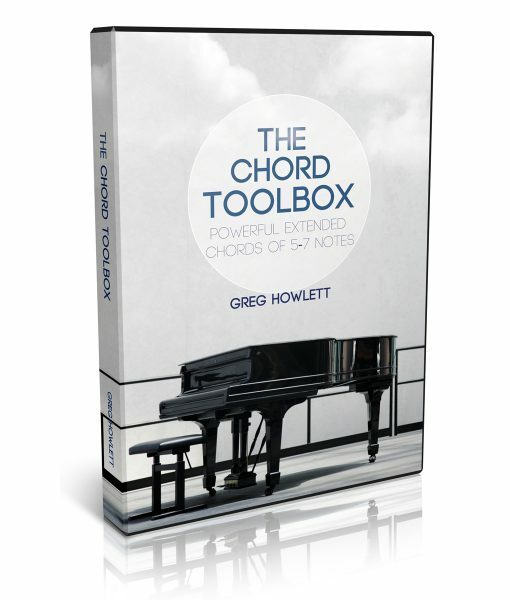 This set of courses (one hour each) will give you a toolbox of all the chords you are going to need to know. Essentially every chord used a lot in modern music is discussed starting with five triads and ten 4-note chords that are extended from triads in Part 1. Part 2 extends the 4-note chords into 5-7 notes with 9ths, 11ths, and 13ths. Worksheets and drills are included. For most musicians that know how to play but want to go to the next level in their improvisation, this is the best place to start. 1. How to read music (general basics such as naming notes and counting). If you purchase and want to return this product, you are welcome to do so within 90 days of the purchase date. Lots of ways. First, it is very high quality and I am known as a very effective teacher of these concepts. Second, there is a focus not on arbitrary substitutions but rather on really understanding what is happening in a piece of music. The good news is you don’t have to take my word for it. It only costs you $9.99 to check it out for yourself. Is this training only for church musicians? You can use these concepts with any music. In fact, the song we use in this course is a simple nursery lullaby. This course is ONLY available online at the moment. You simply need a DSL or similar internet connection to download it. As soon as you purchase, you will be able to view/download the course as much as you want on practically any device or computer.